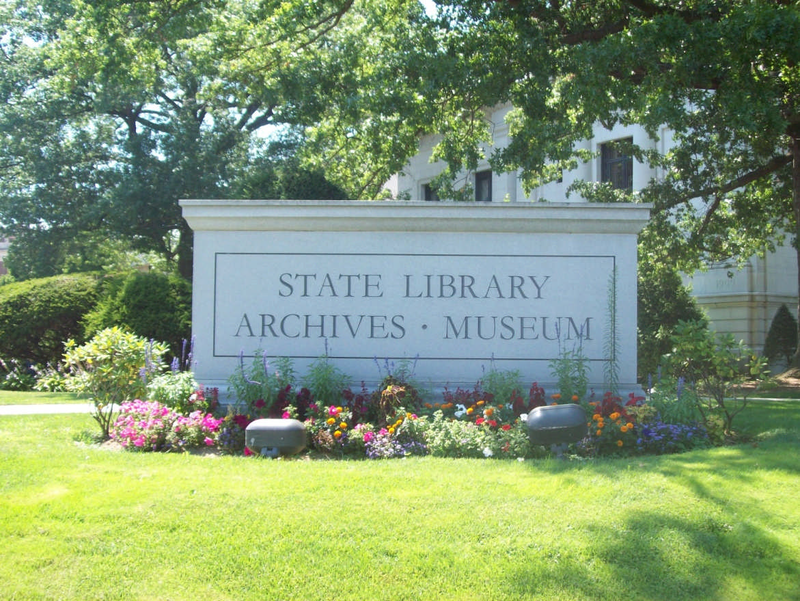 Search or browse Connecticut City Directories and other resources. This resource is available remotely to CT residents for free through researchIT. Before the advent of telephone directories, city directories provided information about local communities. 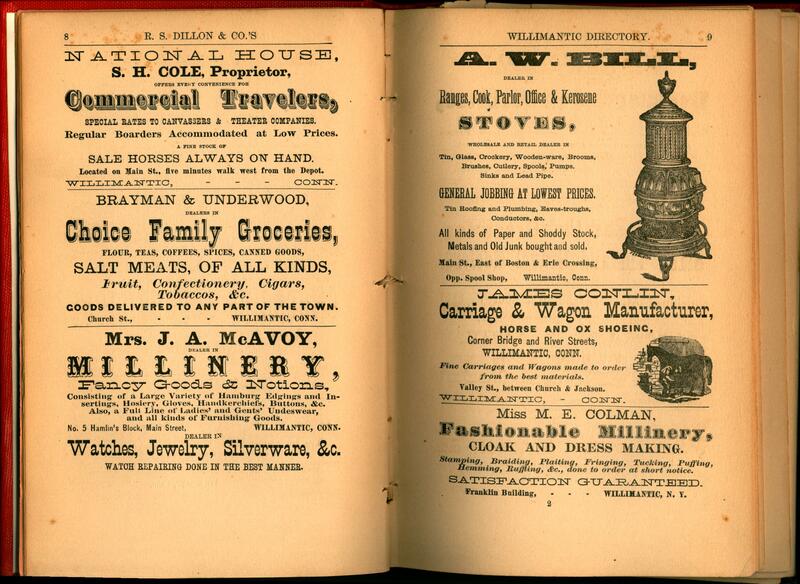 Early directories contained lists of individuals, their addresses, and occupations. Later directories included additional information and could include: a yearly calendar, street maps, railroad schedules, and engravings of public buildings, along with local information about town offices, courts, public schools, various societies, and business listings. 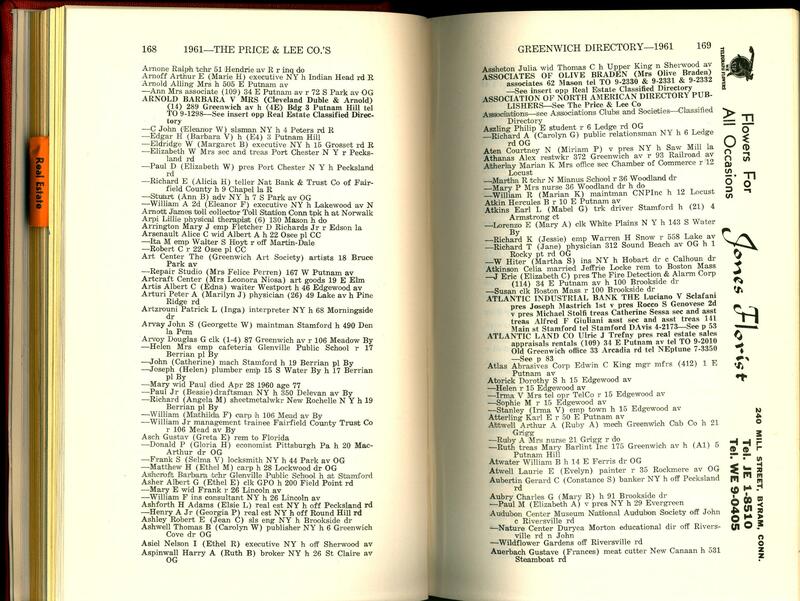 Some directories even included marriage, birth, and death information. The best way to see what directories are available is by searching our library catalog. Try a keyword search for [Name of Town] followed by the abbreviation Conn. and the term city directory. For example, Wallingford Conn. city directory.